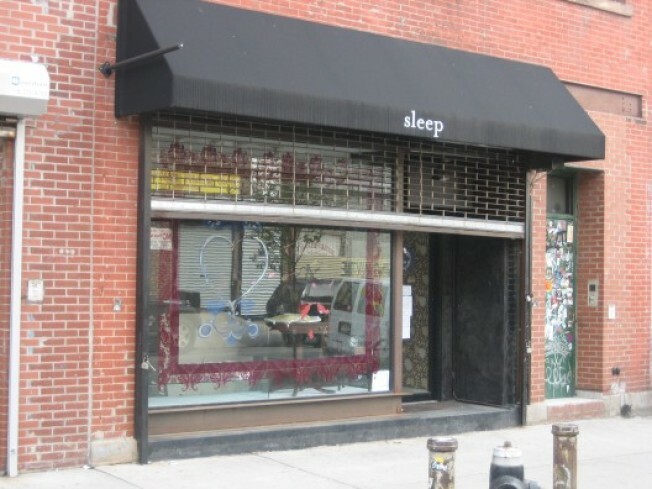 Feminine Williamsburg boutique Sleep, which specialized in frilly underthings and equally frilly bedding, went to its final resting place this weekend. A commenter alerted us to their closing sale this past Saturday afternoon, and as the gallery above attests, the storefront—on the generally bustling retail stretch of North 6th Street—is now for rent. Oddly enough, by our count this marks only the second solid-seeming Williamsburg clothing store to close since the local real estate market started to collapse this past fall. The other boutique to close, Catbird's Metropolitan Avenue location, also relied heavily on the expensive, the tiny, and the ladylike, meaning that if you want to survive in today's Burg, you might be best off stocking at least a few more practical items.